We love our deck critter. Your critters is colorful and could croak any minute. 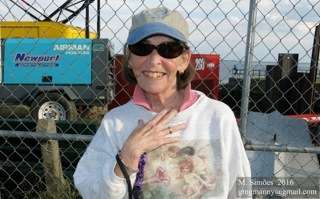 Thanks for your comments about my 91 year old Mom. Hello, love the cute frog. A nice yard ornament. Thanks so much for linking up and sharing your post. Happy Saturday, enjoy your weekend! I have a frog on my deck too. He's been keeping watch for a very long time. I love that frog!! I have the same one on my back patio. We bought it on a trip a few years back. Charming critter! Saw one yesterday! Quite a neat deck critter! How cute! I love it and need something like that in my courtyard! Hugs! That is a very big and colourful frog, watching over your deck! Grandma loves such frogs and has quite a collection. That one is particularly colorful. 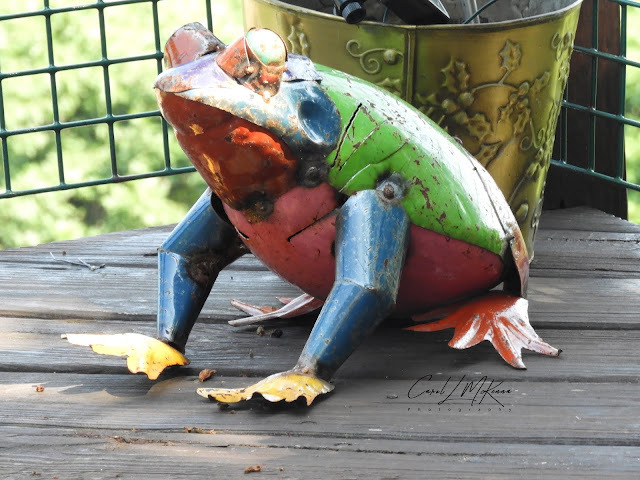 Oh that's a fun frog for a garden whimsy! Have a great weekend!